Teaching in Paradise: Grade 3 End of Year Math Assessment Pack and an INSTA-GIVEAWAY! 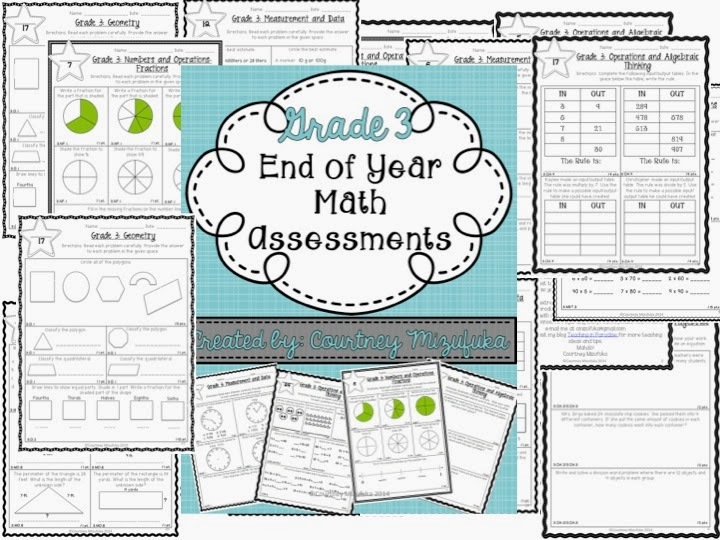 Grade 3 End of Year Math Assessment Pack and an INSTA-GIVEAWAY! Just a quick post to pop in and share something that I've been working on. Since the year is slowly coming to a close, I decided to create an assessment that I could use to see where my 3rd graders were and find out what they do and do not know based off of CCSS. Head to my TPT store to check it out- I also have a preview file that you can download if you'd like to see a sampling of what's included. I'm currently giving away a FREE copy on my instagram! Head on over to enter. I will be choosing a winner on Wednesday 3/12 at 8 PM Hawaii Time. i Love this article and https://www.topessaywriting.org/blog/research-paper-services this link helpful in studies online. Plan: You have different decisions of white paper administrations relying on your plan. There are some which will give you a chance to have your white paper for a little expense consistently, some may charge a considerable measure higher and afterward there are those that have your white paper for nothing and take a charge for each white paper downloaded.